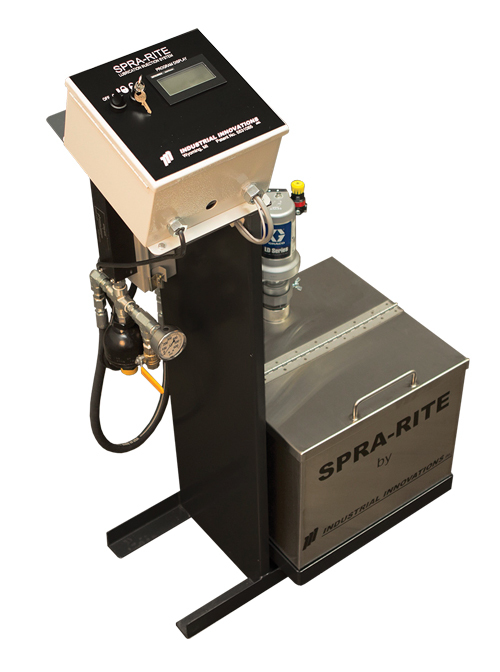 Industrial Innovations, Grandville, MI, announced that it has provided Egar Tool & Die, a manufacturer of automotive stamping dies, production stampings and welded assemblies, with three Spra-Rite High Pressure Lubricant Spray Systems to Egar's Cambridge, ON, Canada facility. The systems generate pressures up to 500 psi and are designed to atomize and apply thick, emulsified lubricants, often needed to process advanced-strength steels. The lubricant, distributed from the system’s reservoir tank, is propelled through a filter and then through a patented Z- nozzle, where it is atomized and applied. Precise, consistent application of lubricant can help eliminate downtime, improve production rates and reduce lubricant usage.